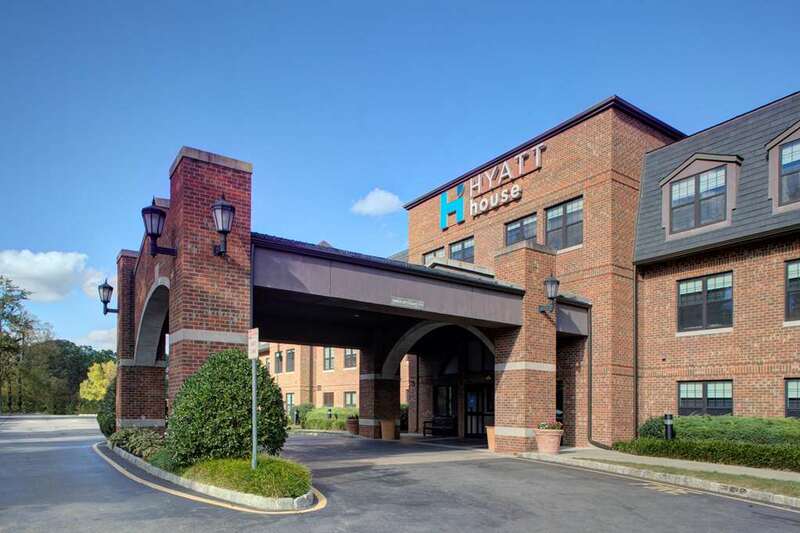 HYATT house Parsippany provides a contemporary twist to the traditional suite experience - offering up an authentically comfortable lifestyle while adding little touches of luxury. Spacious smartly designed suites - fresh sumptuous beds and linens - full kitchens - multifunctional clock radios with iPod docking station and soothing sound machine - flat panel TVs with expanded cable and movie channels - and lighted make-up mirrors. Amenities and services include an outdoor pool and whirlpool - outdoor patio with built-in barbecue - fitness center with cardio and weights - on-site market - guest laundry and dry cleaning service. Complimentary details include daily breakfast buffet with made-to-order omelettes on weekdays only - Evening Bistro with premium wine and beer and specialty appetizers - Torrefazione Italia Coffee - wired and wireless internet throughout the hotel - multi-station business center with printing capabilities and USA Today. Stylish and flexible event space available. Hotel is 100 percent smoke-free. PET POLICY: 1-6 NIGHTS A 75 NON-REFUNDABLE FEE. 7-30 NIGHTS A 75 NON-REFUNDABLE FEE PLUS AN ADDITIONAL 100 CLEANING FEE. MAXIMUM OF 2 DOGS PER ROOM ARE PERMITTED. WEIGHT MUST BE 50 LBS OR LESS MAX OF 75LBS PER RM. FEES ARE IN USD. Conveniently adjacent to the regional offices of State Farm - Novartis and Deloitte at the entrance to the Morris County Office Park. Situated just 20 miles west of the Meadowlands - home of the NY Giants and Jets - and 25 miles west of New York City on Smith Road at the intersection of Interstates 80 and 287.